I began investigating the hot guts sausage scene in Texas in 1991. The last 25 years have seen a lot of changes come to the forced meat industry in the Lone Star state. Genuine Texas hot links started to fade away in the late 90s and the beginning of the aughts. That problem has since been ameliorated as the young pitbosses of the state have taken it upon themselves to introduce a new generation to authentic, hand-crafted sausage. I keep waiting on Aaron Franklin to follow the lead of men like Tom Micklethwait, the man who is currently producing the best hot links in Austin, the buckle of the barbecue belt of the southwest. Recently, business carried me to Amsterdam, Netherlands where scratch sausage production has been the way of life for earnest restaurateurs for centuries. Rookwurst, Dutch sausage, is a national treasure and thousands of cooks and butchers in the country produce tonnes on a daily basis. 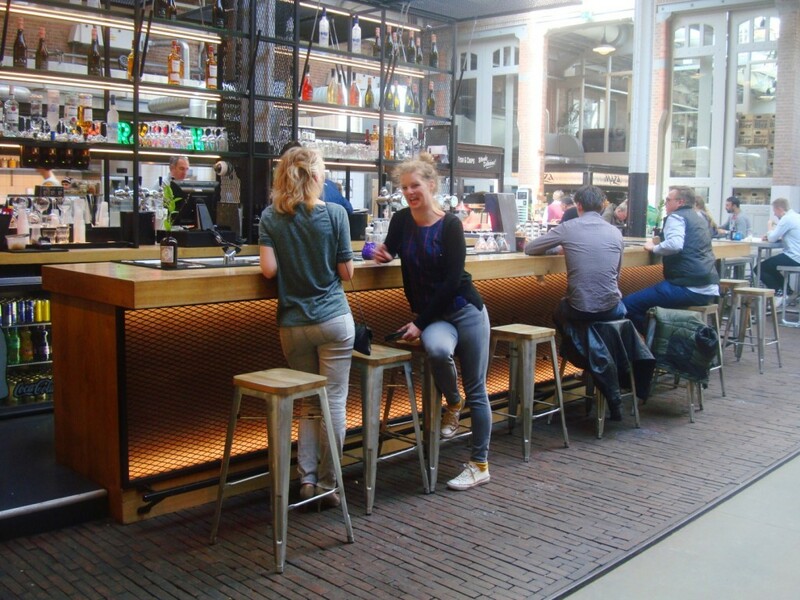 During the ramp-up for my trip, Bulls and Dogs, a storefront in Amsterdam’s ‘Foodhallen’ (a sort of indoor foodie mall that features a multitude of pop up-style traiteurs) kept appearing in my studies. 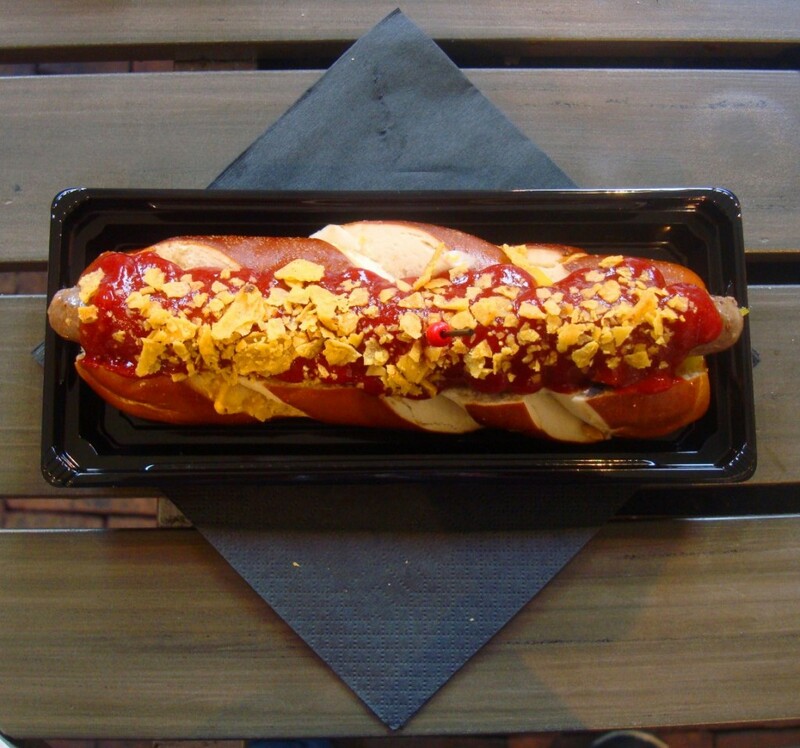 The sausage shop was started with almost no money and as a “joke” by co-owner Thijs Van Koesveld, a grad student at Vrije Universiteit in Amsterdam. Thijs had received a sausage grinder as a Christmas present in 2014 and immediately began experimenting with recipes til he came up with a handful that he felt were winners. Van Koesveld opened a catering company and quickly secured a contract to begin producing ‘fancy new hotdogs’ He hit the ground running with a foodtruck, and began working regional food events where he caught the eye of the organizers behind Foodhallen; they wanted him to open a permanent location inside the old train station that they were renovating. Bulls and Dogs was born. I’m here for the ‘Texas Hot Link’ which features ‘beef, cayenne, spicy tomato and nachos’ The counter girl takes my order and produces a long sausage which she places on the grill that divides customers from kitchen staff. I ask if ketchup comes on the sausage and am assured that none will be on my link. I was lied to. 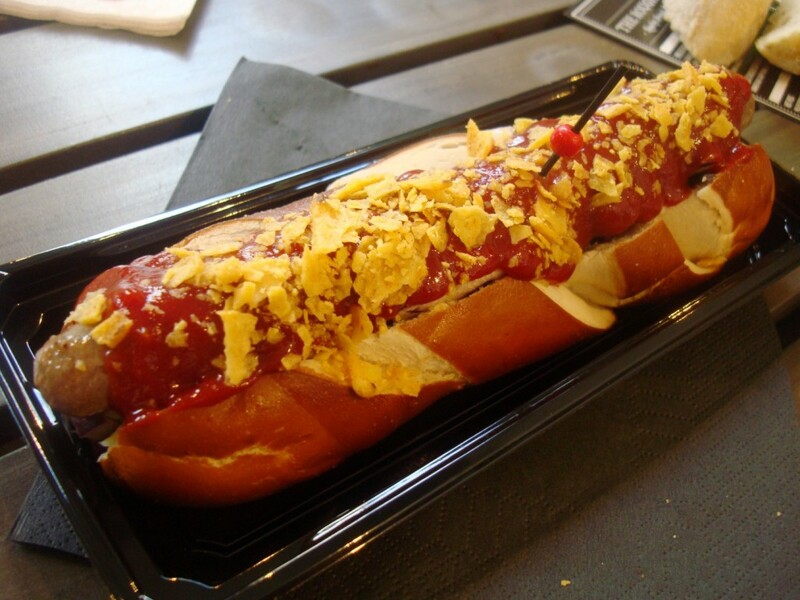 This ‘Texas’ dog comes smeared with ketchup, admittedly a spicy one but ketchup nonetheless, and is further garnished with crushed tortilla chips. I carefully scrape off all the treacly red sauce and begin plundering my dish. Oddly, this sausage is served medium rare which is passing strange. The beef is of good quality but bears little resemblance to a genuine Texas hot link. The farce is slightly stringy and the signature punch of cayenne and black pepper is missing. The pretzel bun has been previously frozen and is of little interest. I’ve studied the sausage of the world since I was just a young eater growing up in Kentucky USA. On previous trips to Noord Holland I’ve eaten my body weight in rookwurst, the Dutch classic, and I’ve rarely been let down. In its short life Bulls and Dogs has expanded into an empire featuring three food trucks, the Foodhallen location and a brick and mortar restaurant featuring fancy cocktails. But when it comes to producing genuine Texas sausage the Lone Star state might as well be a million miles away. 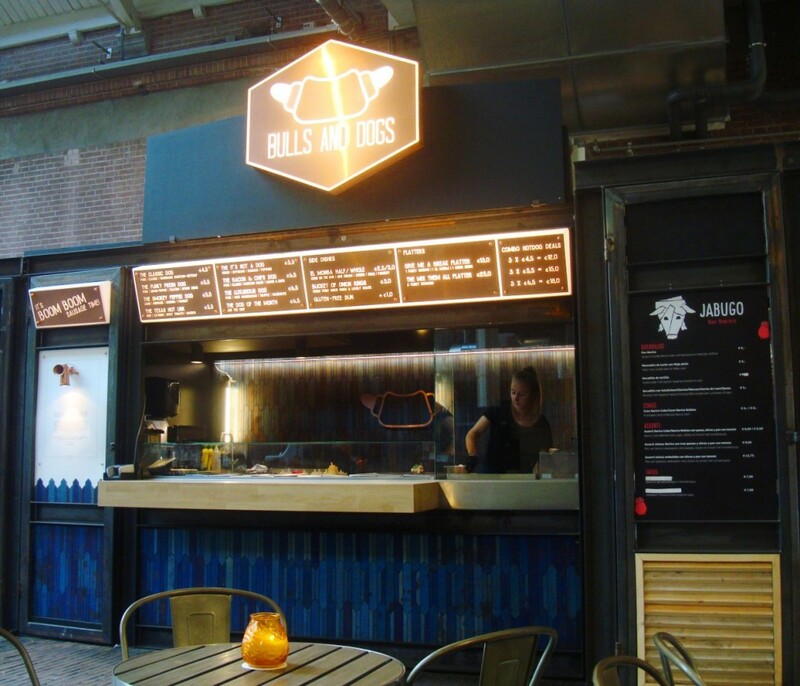 This entry was posted in Amsterdam Netherlands, On The Road With RL Reeves Jr and tagged Bellamyplein 51, bulls and dogs, foodhallen, Thijs Van Koesveld. Bookmark the permalink.